Sharon Zimmer walks with "Good St. Wenceslaus" Joey for the 21st annual Northport Dog Parade. 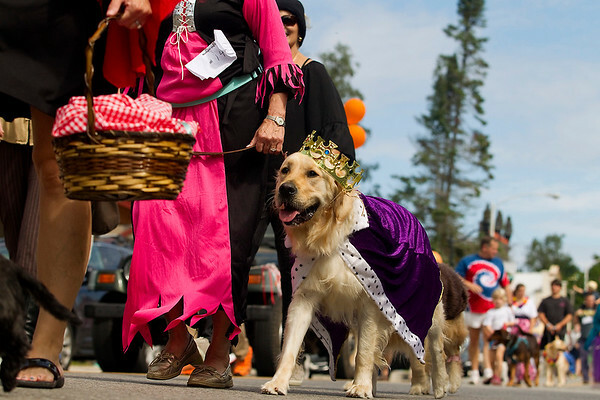 This year's theme was "Hairy Tales," so participants were encouraged to dress as fairy tale characters. Proceeds from the event go to Black Sheep Crossing, Cherryland Humane Society, and Silver Muzzle Cottage.